Every safety to watch after the smallest is scarce. 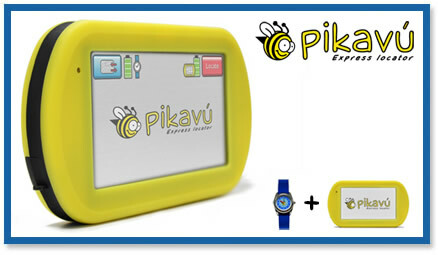 Pikavú is a GPS designed in order that parents track the position of their children. Do you want to know where your child is? Pikavú is a GPS designed in order that parents track the position of their children. This device has two parts: A base station -receiver used by the parents- and a wrist watch for the children. The watch weights only 36 grams and it has a battery that lasts 3 days and a half in normal mode and 4 days in energy saving mode. As to the receiving base, it is equipped with a touchscreen of 4.2 inches, an easy to use interface and maps. The wrist watch comes in two colors. It a special lock in order that it cannot be removed from the child’s wrist and is resistant to water and impacts. After 5 seconds of having pressed the emergency button, it will send a direct signal to the base station. To speed up Pikavú's system, it incorporates four technologies, which allow it to receive any signal regardless of its difficulty, these are: SBAS GPS, indoorVision, VisionCellid and T GSM.